Costa Rica is known for its incredible landscapes and rich biodiversity. A top destination for nature lovers and fans of the great outdoors, it also offers myriad cultural experiences too. There are stunning beaches along the Caribbean Sea and Pacific Ocean, active volcanoes, national parks, and cloud forests, and the country has a rich indigenous and colonial history. It’s a terrific place for ecotourism and adventure activities. Costa Rica is known for being a fairly expensive country to explore. It’s common to meet other travellers on the road who advise that the costs of visiting Costa Rica aren’t worth it and to give it a miss. We say nonsense! There are plenty of ways to discover this natural gem without needing to smash open the piggy bank! Smart and savvy travellers CAN enjoy Costa Rica on a budget. To help you out, we’ve put together this comprehensive list of the best things to do in Costa Rica, including a mixture of pocket-friendly activities and splurge options. There’s something to suit all tastes and you’ll almost definitely be pleased that you didn’t choose to swerve this incredible nation on your explorations of the Americas. Have a ball with these recommendations of the best things to do in Costa Rica. Plus, if you’re after an amazing hotel in Costa Rica, our insider guide to the 17 best hotels in Costa Rica will help you find the best hotel at the best price for you! Costa Rica offers plenty of fun, with a brilliant assortment of adrenalin-inducing activities, visits to remote villages, wildlife spotting, and more. Escape your day-to-day routines and cut loose in Costa Rica. Travel northwards from San Jose and enjoy sublime vistas of coastline and mountains on your way to Monteverde Hanging Bridges. You’ll make several stops en route, including at a gigantic fruit stand, an awesome lookout point, and a place where wild monkeys can easily be spotted. After lunch you’ll take to the tree tops to walk through the cloud forest on exciting hanging bridges. You’re sure to be wowed as your guide points out an array of fascinating flora and fauna. Spend the best part of ten hours hiking in stunning surroundings while surrounded by nature’s bountiful wonders. Trek through dense forest to reach the base of the Chato and Arenal Volcanoes, learning more about Costa Rica’s amazing ecosystem on your journey. You can soak up incredible views from Arenal Observatory Lodge and your fabulous day ends with a visit to deliciously refreshing hot springs—a perfect way to soothe your muscles after a day in the great outdoors. Soar through the air at speed and get an amazing bird’s eye view of the jungle. You’ll see plentiful wildlife from your lofty vantage point, including sloths, monkeys, birds, and more, and the landscape vistas are equally as rewarding. A thrilling adrenalin rush is all but guaranteed too! There’s not just one zip line to enjoy, but an impressive ten heart-racing zip wires! You can swap out the final zip line for a Tarzan swing and rappelling platform if you so choose. After your amazing experience in the treetops, chat with your new pals over a delicious local meal (included in the cost). There are numerous places around Costa Rica where you can feel the rush of white water rafting. The Rio Balsa is within easy reach of the Costa Rican capital of San Jose, and included transfers make having a watery blast a piece of cake. The class 2-3 rapids will definitely give you a buzz. All safety equipment is provided and a tasty buffet lunch will satisfy your hunger after your exciting experience. Learn more about Costa Rica’s indigenous people on a trip to a reserve. The Maleku Indigenous Reserve offers insights into a different way of life and rich traditions that have endured the years. You’ll learn things like how the tribe honour and bury their dead, home building, agriculture, crafts, traditional medicines, and cuisine. Your visit includes a locally prepared meal too. What could be better than spending a day at a stunning waterfall? How about visiting five incredible cascades in one action-packed day?! You can indulge your inner adventurer and take part in activities like cliff jumping from soaring heights, or simply admire the spectacular falls and perhaps take a dip in the cool, refreshing natural pools. Short hikes are required to reach some of the waterfalls. This brilliant tour includes a chilled-out boat ride, the chance to observe colourful underwater life and landscapes, cave expeditions, and relaxing on gorgeous beaches that can only be reached by boat. Snorkel around volcanic rock formations and admire eye-catching cliffs, forests, and mangroves. There are many ways for couples to enjoy a romantic vacation in Costa Rica. Indeed, it would be a fabulous place for a memorable honeymoon! Here are our top recommendations to let the loving vibes flow in Costa Rica. Marino Ballena National Park is often lauded as being one of Costa Rica’s most stunning destinations, so who better to explore the area with than the love of your life? Situated along the Pacific coast, it’s a terrific place to see a variety of whales, as well as various bird, fish, turtle, dolphin, and reptile species. On dry land, keep your eyes and ears open for monkeys, sloths, puma, and ocelot, among others. You’ll cross beautiful sand and stone beaches and will have the opportunity to learn lots more about native wildlife. Manuel Antonio National Park is another of Costa Rica’s gorgeous national parks, and couples can be as active or as chilled as they like on this trip. You can hike around the national park, looking out for sloths, monkeys, iguanas, birds, and more, or spend an idyllic day relaxing on sublime sandy shores and swimming in the sea. The drive to and from the park is picturesque. Set sail for Tortuga Island, a beautiful island in the Gulf of Nicoya. Feel the fresh sea breeze against your skin as you spot a variety of marine birds en route to the island. Once your boat docks you can spend a blissful day catching some rays on sublime white sandy beaches and swimming in the crystal clear sea. Alternatively, take part in activities like kayaking, snorkelling, following walking trails, and completing a canopy walk. Tuck into a tasty buffet lunch while enjoying beautiful views to complete your island fun. Ride alongside your sweetheart in the saddle of a trusty steed and under the instruction of Costa Rican cowboys. Experience farm life and admire striking views as you make friends with your horse. Enjoy a romantic picnic by the river and knock back a drink in a local bar. Located just outside of Cartago, Lankester Botanical Garden is a terrific place for a romantic stroll with your partner. Soak up the sights and fragrances of the huge collection, which boasts more than 3,000 plant species! Don’t forget to lookup into the tree branches as you follow pretty walking trails to try and catch a glimpse of sloths. Drive through the scenic villages in the La Fortuna area to reach the soaring Arenal Volcano. Don your bathing costume and step into soothing, mineral-packed hot springs and let the warm water work its magic. It’s certainly a top way to rejuvenate and relieve any aches and pains from long, active days in nature. Costa Rica is an awesome destination for all, and kids are especially likely to be well and truly blown away by seeing a variety of creatures in their natural habitat. Planning a trip with kids can sometimes be a hassle though, so we’re here to help! Go underground and discover a fascinating world of wonder at the Venado Caves. A short distance from La Fortuna, the caves are suitable for exploration by adults and kids alike. All safety equipment is provided and you’ll also have a torch. 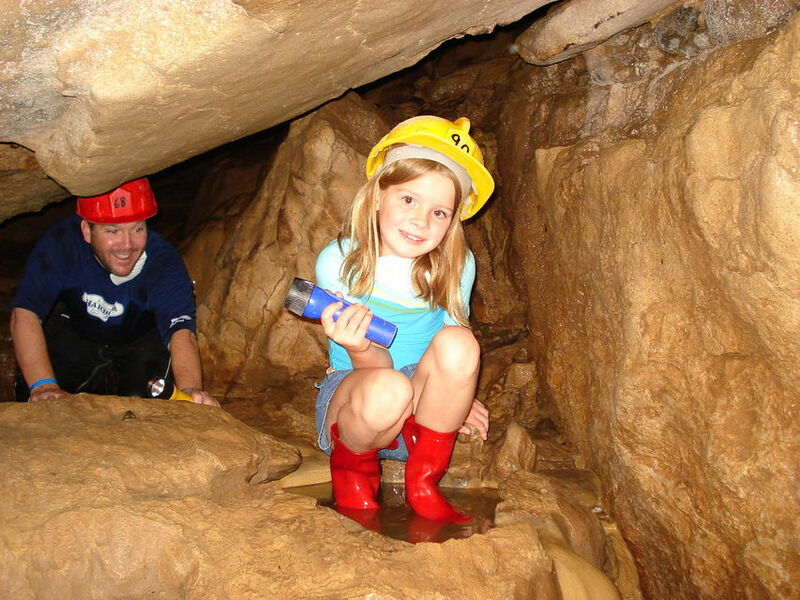 A guide accompanies you through the intriguing subterranean caverns and tunnels. Do be sure to wear clothes that you don’t mind getting muddy and wet. You’ll see cave-dwelling creatures like bats and spiders as well as interesting rock formations. Learn more about local agriculture and let your kids get hands-on at a terrific sustainable farm. Meet the animals that roam freely around the farm, have a go at milking a cow, try local produce, and explore the veggie gardens. Board a boat for a fabulous cruise through the jungle, seeing significant wetlands in Palo Verde National Park. The large amount of wildlife is sure to enthrall your kids. Don’t forget your camera! Many types of birds flit through the skies, tweet in the tree branches, and paddle across the water. Other awesome creatures to look out for include crocodiles, lizards, and monkeys, and there’s also interesting plant life. Sloths are famous in Costa Rica and the whole family can delight in spotting this unusual creature at a pretty eco-project close to La Fortuna. The family-operated venture guarantees that you’ll see sloths up close. Learn more about the creatures, their habitat, and the dangers that they face, nad enjoy a guided walk through the lush forest. Keep your travel budget in check and your bank manager happy when you incorporate free activities and attractions into your travel plans. You don’t need to splash the cash like a rock star on every day of your vacation! There are many places where you can hike for free, and basking on gorgeous beaches is also free of charge. Some waterfalls don’t cost a penny to enjoy and, if you have your own equipment, there are plenty of places where you can snorkel and fish for free too. There are many vibrant markets around Costa Rica, with almost every major city and town hosting at least one market alongside the road. Immerse yourself in local life and see a selection of locally grown products brought to the markets by farmers from far and wide. You’ll also find a good selection of traditional arts and crafts in many of the bigger markets. Located along Costa Rica’s so-called Gold Coast, Guanacaste is a sublime destination with plenty of free activities and attractions. Known for its brilliant sunshine, it offers some of the nation’s finest beaches. Relax is relative peace and quiet on peaceful stretches of sands and wander through quaint fishing villages. Nearby volcanoes are magnets for adventurous hikers and if you head farther inland you’ll come across ranches and farms owned by Costa Rican cowboys. The Rio Tarcoles is between the capital of San Jose and both Manuel Antonio National Park and Jaco. As you cross the river find a safe space to stop and join the crowds of people already peering over into the waters below. The area is known for its large crocodiles in plain view, basking in the sunshine and swimming in the river. It’s an effortless and free wildlife encounter! Jaco is a pretty town where you can soak up local life and admire lovely architecture. It’s within easy reach of scenic beaches where you can sunbathe and swim for free, and you can pass pleasant hours strolling past small shops crammed with an array of goods and local-style homes. While Costa Rica is primarily known for its daytime activities, that doesn’t mean that you won’t discover heaps of ways to enjoy your nights too. There’s no reason to hit the hay as soon as the stars come out to play. Watch the sky change colour and the sun go down with a terrific ride on a catamaran. You’ll sail along the Gold Coast, passing picture-perfect bays. Perhaps even stop for a swim or spot of snorkelling. You may also see diverse marine creatures like dolphins, whales, turtles, birds, and fascinating flying fish. Grab a drink from the bar to watch one of nature’s finest shows and savour a light dinner onboard. Enjoy a captivating cultural show and delicious dinner for a night to remember. The evening begins with a walk around many of San Jose’s most well-known landmarks, with the famous buildings taking on a whole new appearance when illuminated in the darkness. After working up a hearty appetite you’ll then sit down for a typical Costa Rican meal, accompanied by an engaging cultural show with dancing, music, and traditional costumes. The animal kingdom is totally different by night as it is during the daytime. Take a walk on the wild side and spot nature under the cover of darkness. The guide-led night walk takes around an hour and a quarter, after which you’ll enjoy a tasty meal in a classic San Ramon eatery. Spend long days hiking in nature and seeing a huge assortment of fascinating wildlife. Waterfalls, cloud forests, volcanoes, and beaches are all part of the scenic views. You really can be king or queen of the jungle in Costa Rica! Put together by our travel experts, our epic guide for where to stay in Costa Rica will help you find an amazing, safe neighborhood (and super quickly!). In Costa Rica, adrenalin junkies will be in seventh heaven with activities like zip lining, snorkelling, caving, tree top adventures, and kayaking. Hot springs are ideal for feeling fully recharged and rejuvenated. Local markets, picturesque towns, indigenous villages, and folk shows are just a few ways to immerse yourself in local life and find out more about the cultures and people of these natural wonderland. The best things to do in Costa Rica are definitely diverse! Start planning so that you can begin looking forward to your Central American adventure. If you love finding things to do in varied locations, you should definitely check out our local guide to 15 awesome things to do in Bermuda, plus our neighborhood guide to where to stay and the best hotels for your time on the wondrous island.